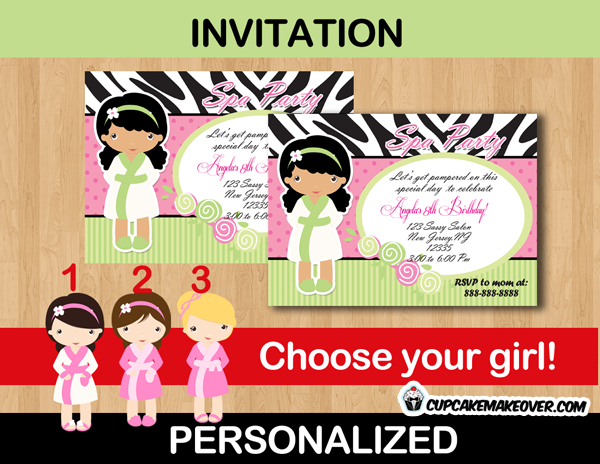 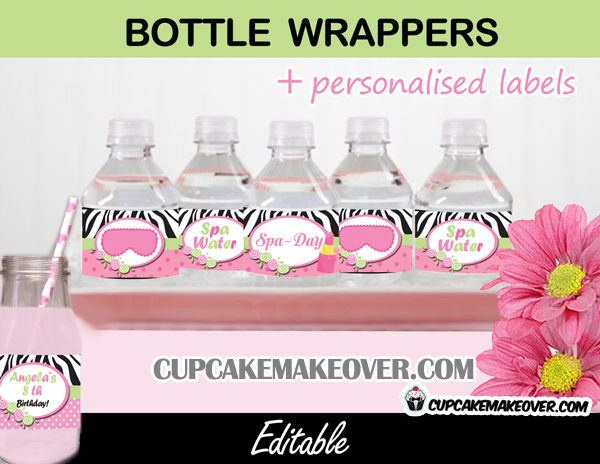 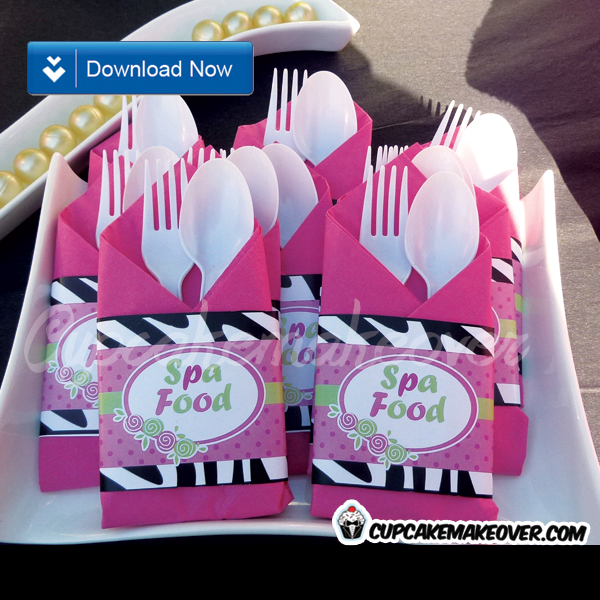 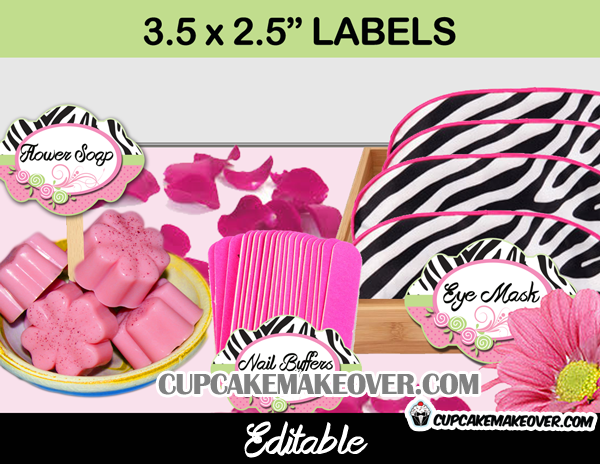 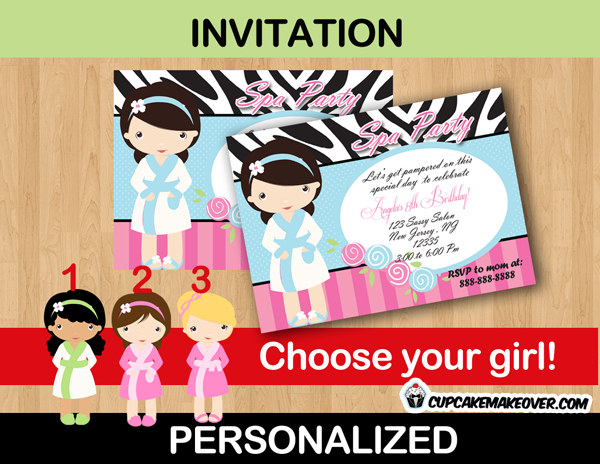 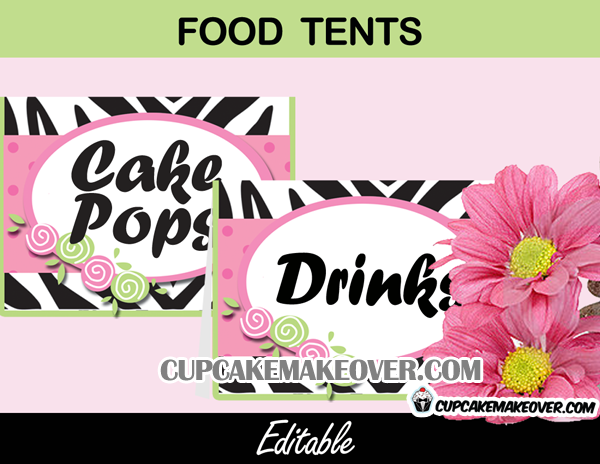 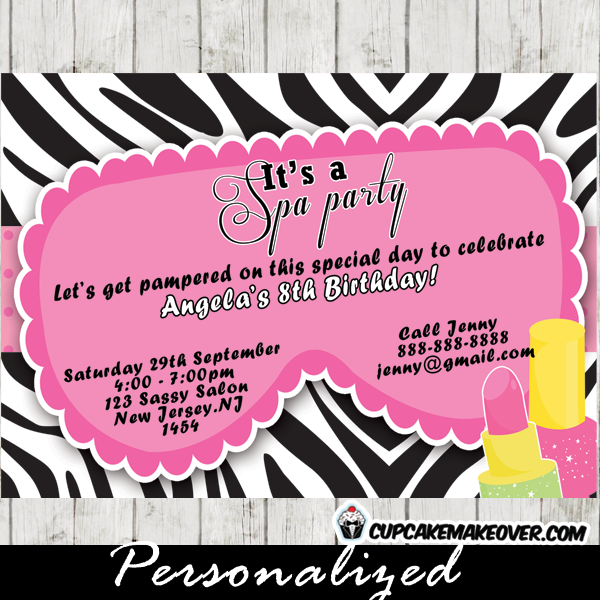 A cute and stylish printable Girl Spa party invitation. 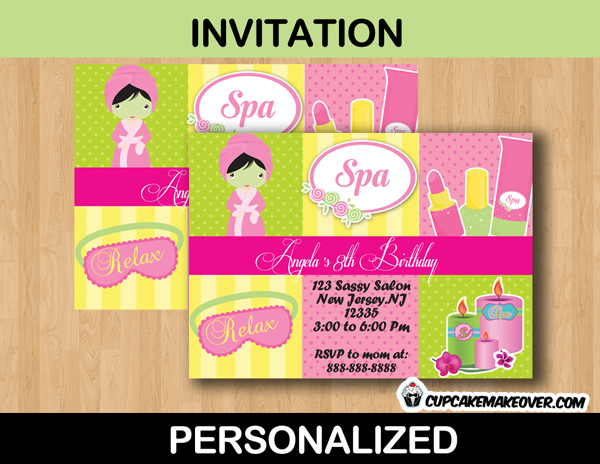 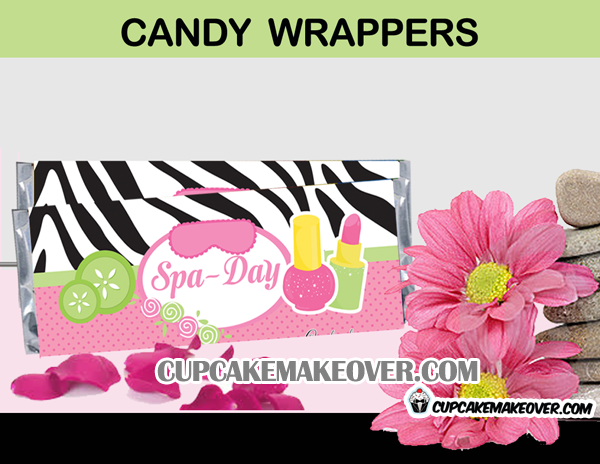 This personalized spa birthday invitation features a hot pink banner across the center breaking up the card into 6 squares being lime green, yellow and pink. 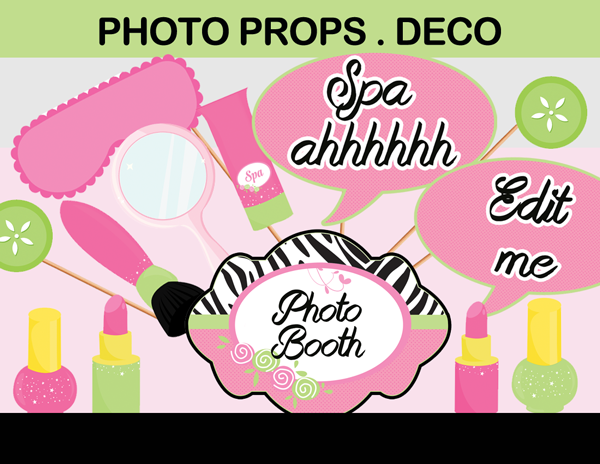 There’s a girl in a pink robe getting pampered in one square with nail polish, lotion and manicure in another with a sleep mask and relaxation candles for the rest.